Guess the latest video that is going viral in soicial media? 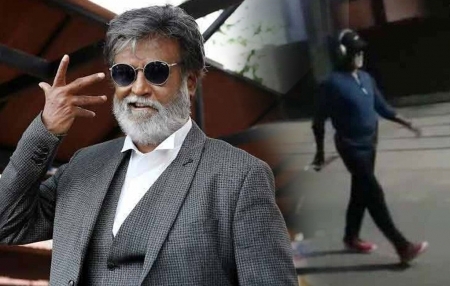 It is the brisk walk in Poes Garden early morning by actor Rajinikanth The video, captured by an anonymous person, shows Rajini, fully dressed in black and wearing a cap, walking briskly along the road. And the earphones he has strapped over his head show that he is not alone.